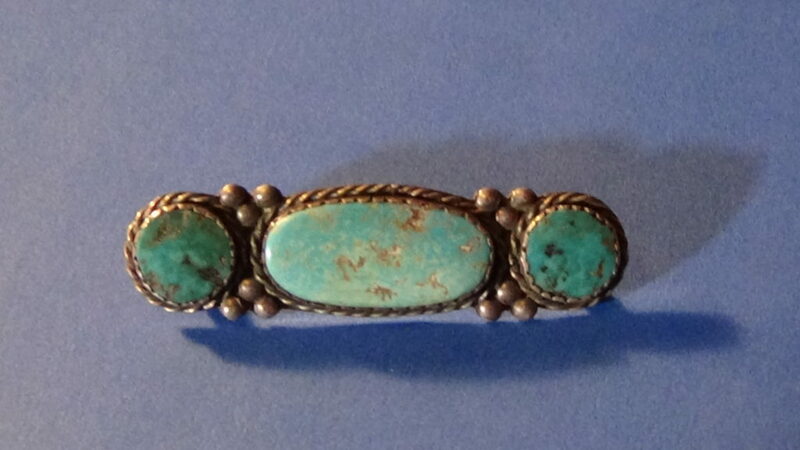 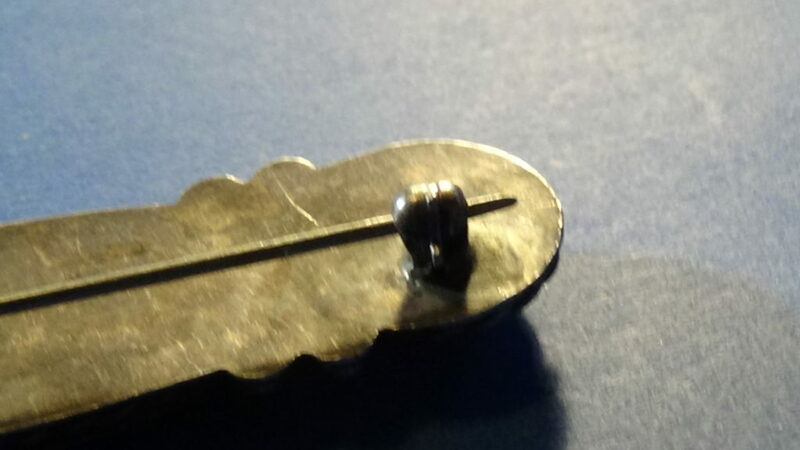 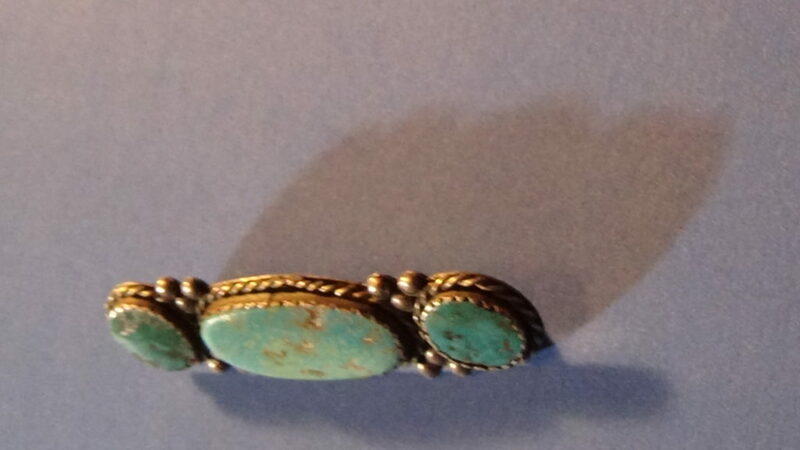 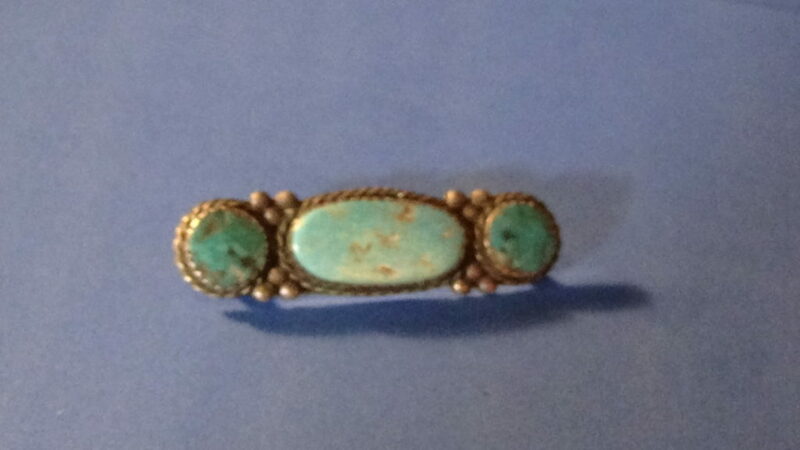 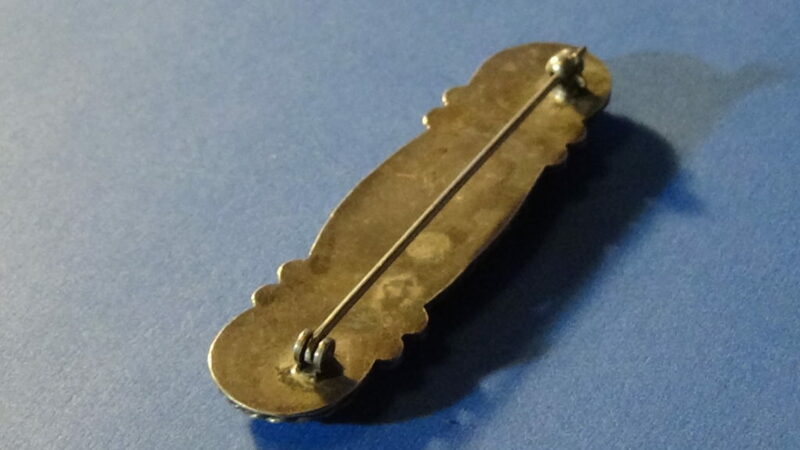 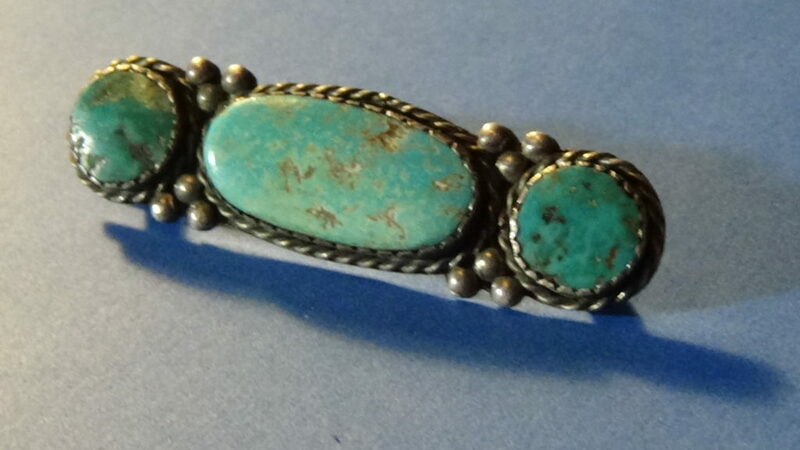 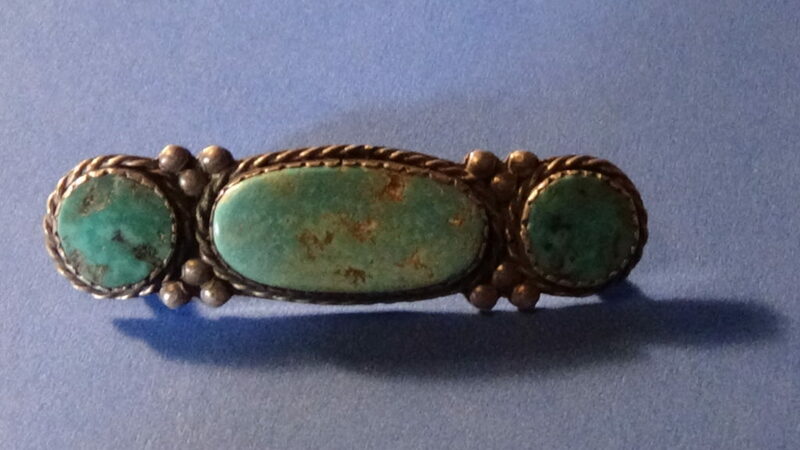 This is a very pretty Turquoise and Silver Pin. 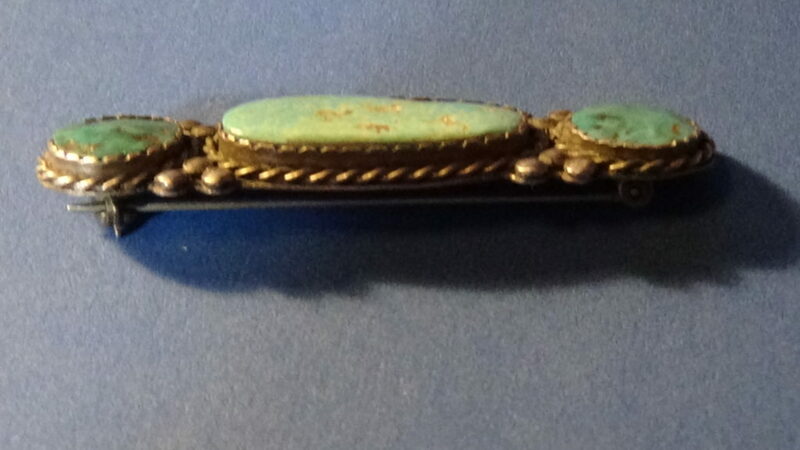 It came from a local estate. 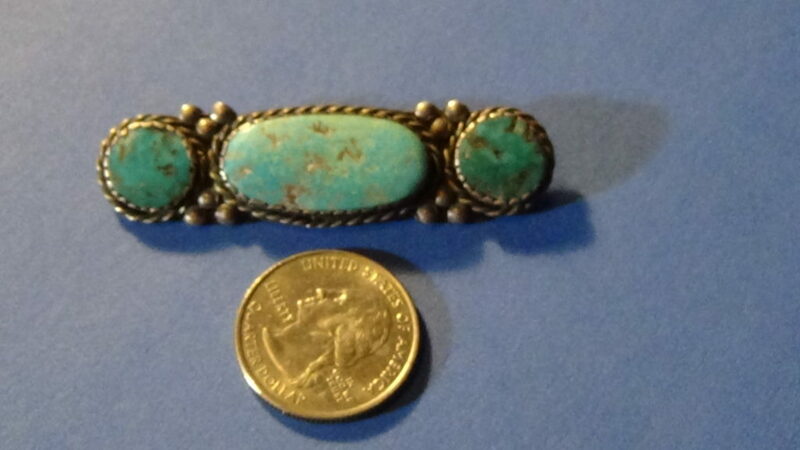 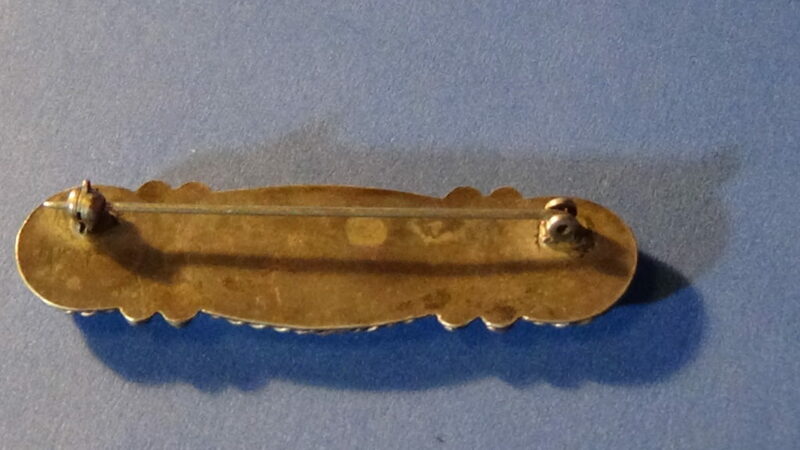 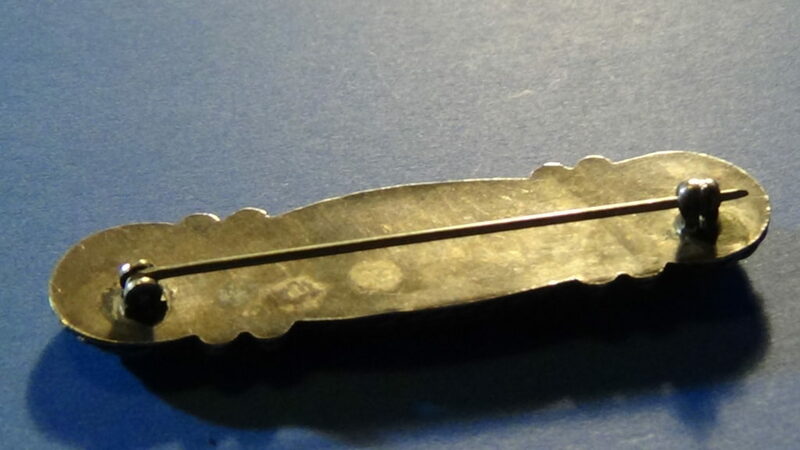 It is 2 1/2″ long X 3/4″ wide.